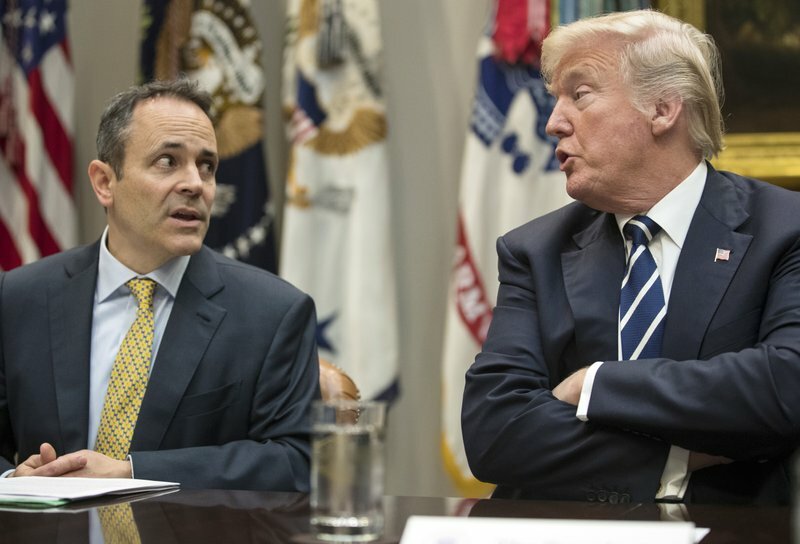 FRANKFORT, Ky. (AP) — Kentucky has become the first state to require many of its Medicaid recipients to work to receive coverage, part of an unprecedented change to the nation’s largest health insurance program under the Trump administration. The Centers for Medicare and Medicaid Services announced the approval on Friday. The change will require adults between the ages of 19 and 64 to complete 80 hours per month of “community engagement” to keep their coverage. That includes getting a job, going to school, taking a job training course or community service. It’s a big change for Kentucky, a state that just four years ago embraced former President Barack Obama’s health care law under a previous Democratic governor who won praise for posting some of the largest insurance coverage gains in the country. In its application to Washington, Bevin’s office said it expected the changes to save taxpayers more than $300 million over the next five years. They said the new rules will apply to about 350,000 Kentuckians, about half of whom already have jobs. They estimated as many as 95,000 people could lose their Medicaid benefits, either because they did not comply with the new rules or they lose their eligibility when they get jobs that pay too much money. “Thousands of Kentucky families will face financial ruin,” he said. The work requirements — which start in July and will last five years — also do not apply to anyone designated “medically frail,” a broad term that includes people suffering from alcohol or drug addiction in a state that has been among the hardest hit by the opioid crisis. Under the new program, Pearsall and her husband would have to let state officials know each time their wages change. If they don’t, they could lose their insurance for up to six months as a penalty. Since the couple is self-employed, they don’t have a regular paycheck, and their income changes dramatically throughout the year. Calling the Trump administration’s waivers “unprecedented,” two senior congressional Democrats who work on Medicaid issues asked the nonpartisan Government Accountability Office to review the government’s decision-making process. “It is critical that key decisions regarding eligibility, coverage, benefits, delivery system reforms, federal Medicaid spending, and other important aspects of these demonstrations are transparent, accountable, and in line with congressional intent,” wrote Rep. Frank Pallone of New Jersey and Sen. Ron Wyden of Oregon.